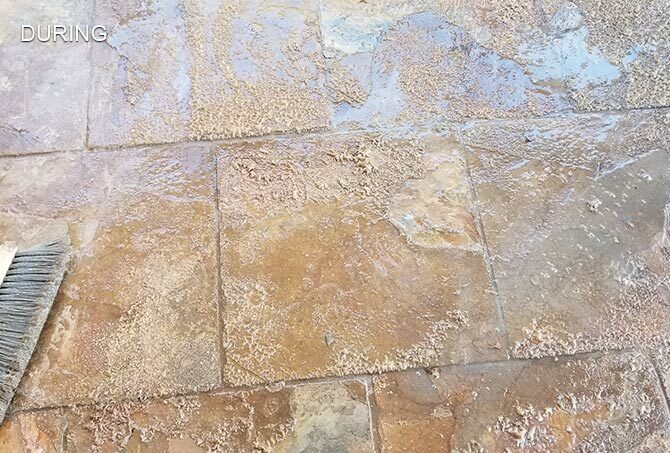 We provided a free cleaning and sealing sample so the homeowners could see for themselves what to expect. 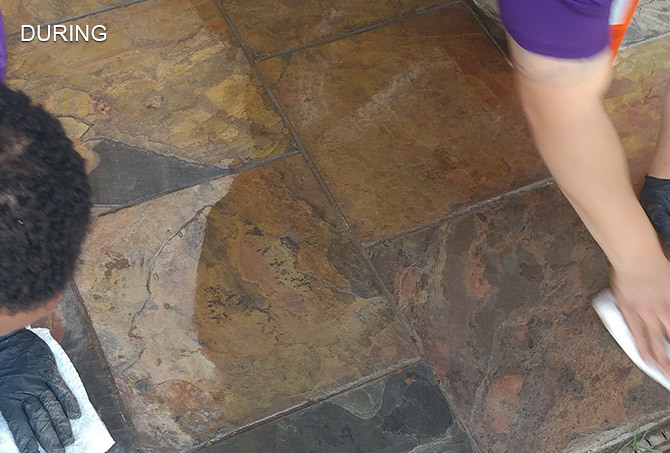 Notice the patchy appearance of the slate, where the improper topical sealer failed. Here is a close up image of the poor appearance of this slate. 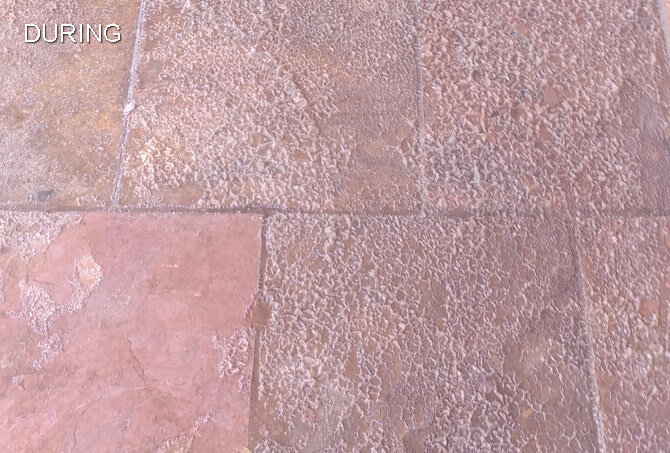 When an improper topical sealer is applied to exterior slate, this is what happens. Notice the flaking, unsightly leftover topical sealer. Our expert technicians carefully hand stripped the slate. 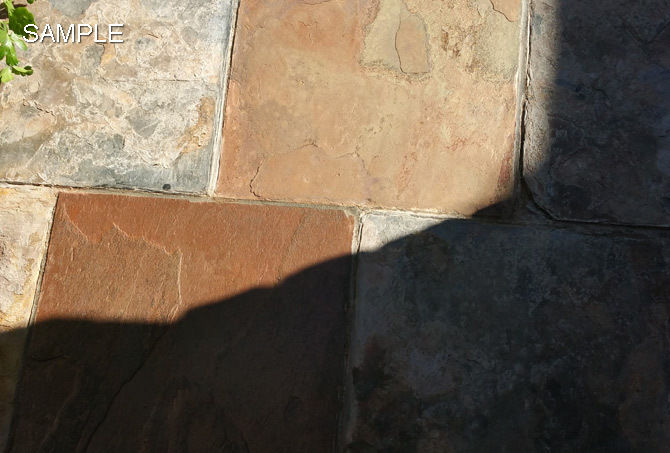 We completely removed the old topical sealer from the slate. Our slate stripping process is very thorough. Removing every bit of topical sealer was a high priority. It was time-consuming work, but totally necessary to achieve a more lasting solution for this exterior slate. We also carefully cleaned the grout lines. 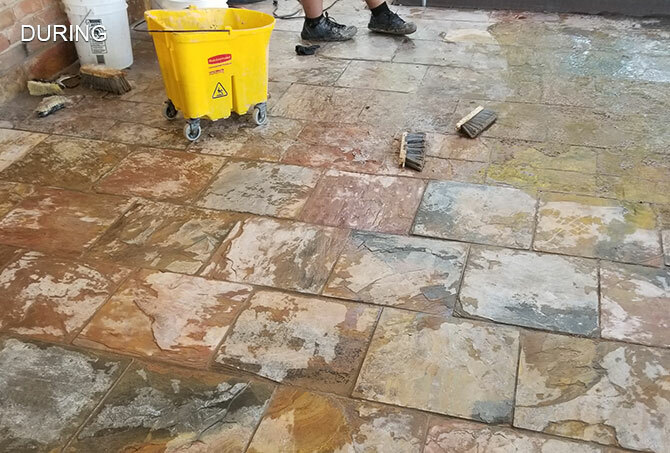 Here you can see our highly trained technicians beginning to apply Dry Treat Intensifia, a deep color enhancer with oil and water repellent and superior stain protection. 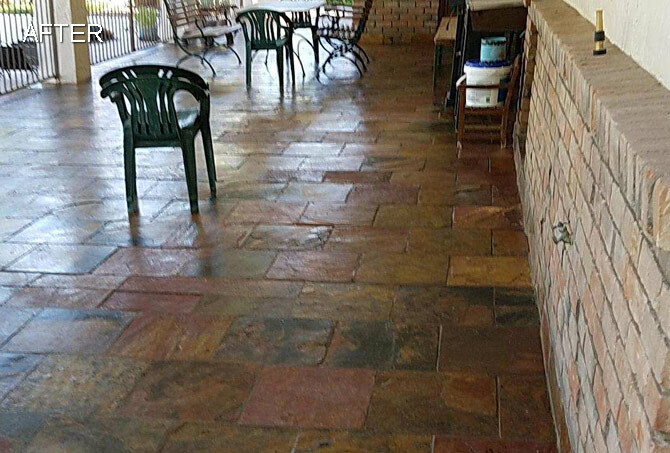 The natural colors in the slate are enhanced with the application of sealer. This sealer will offer protection for years. 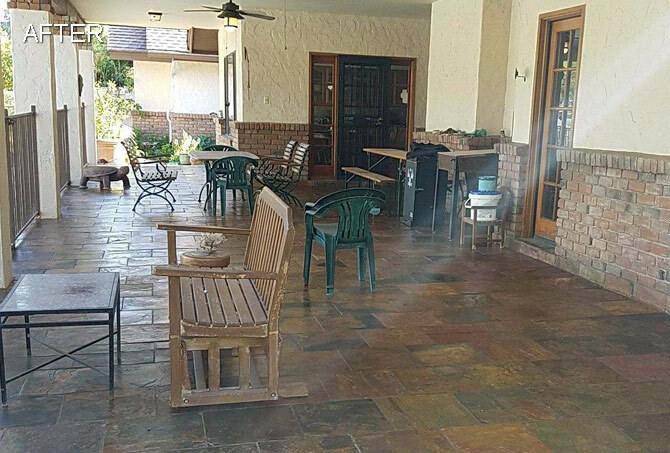 Here is a shot of the refinished slate patio floor. Notice how the colors pop and the finish has a nice sheen. 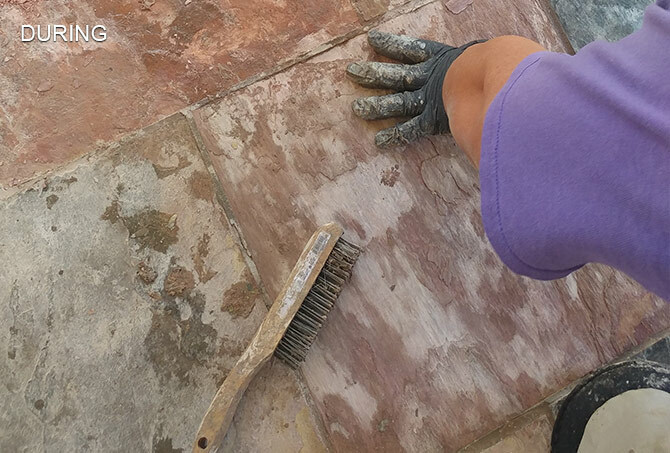 Our expert slate restoration services make a noticeable difference. 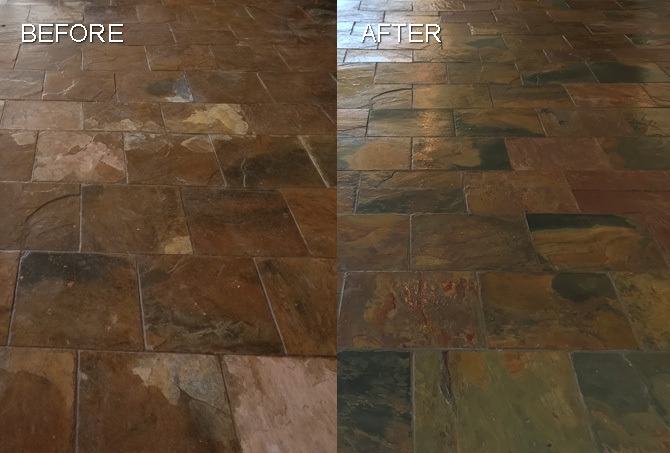 These side-by-side before and after slate images show the level of quality our clients can expect. 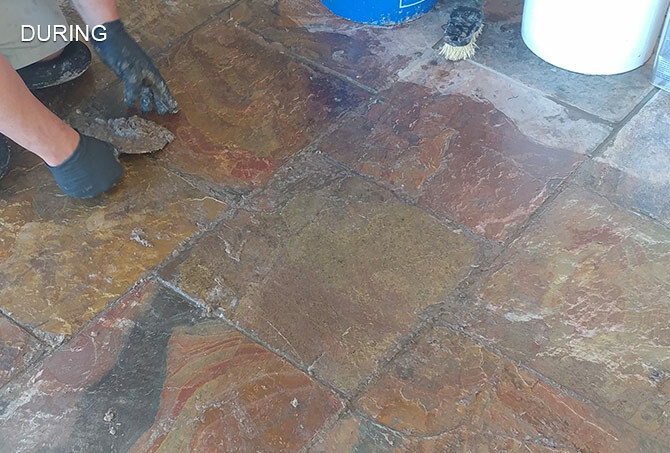 The slate in the entryways and outdoor living spaces surrounding this Tempe, AZ home appeared dirty, chalky, and colorless, even though the tiles were regularly swept and cleaned. 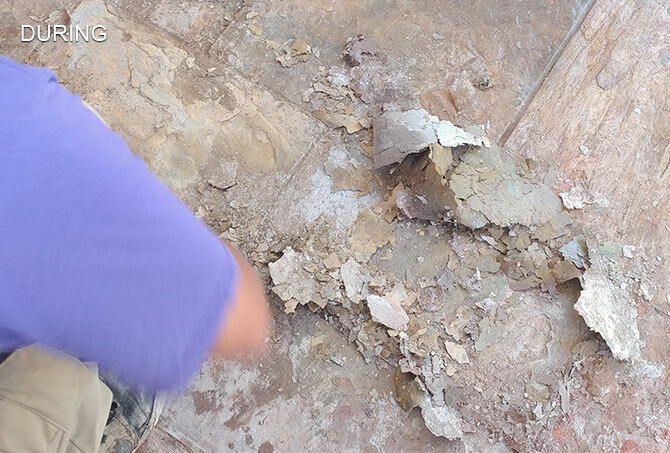 Upon inspection and after discussion with the homeowners, we discovered that a different contractor had coated the slate with an improper topical sealer every year for several years. The build up of coating had become so thick, it was flaking off and severely diminishing the beauty of the slate underneath. 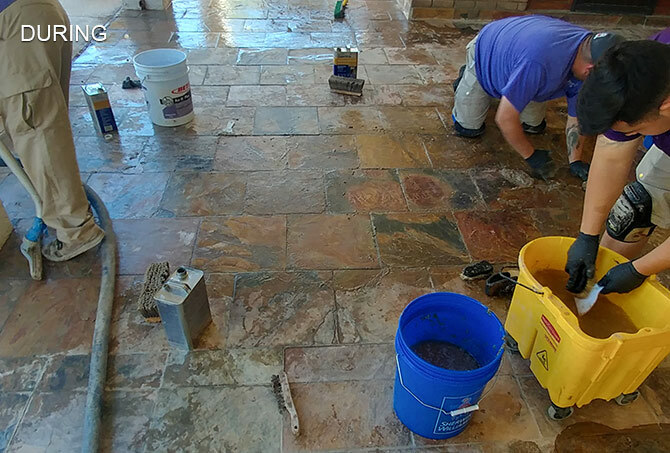 We provided a free consultation, including a cleaning and sealing sample, and an estimate. 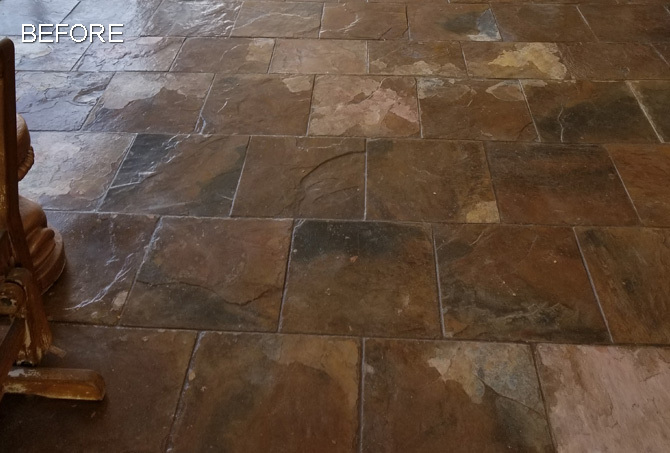 Once the homeowners saw the results, they hired us to refinish their slate. First, we masked and protected the areas surrounding our work space. 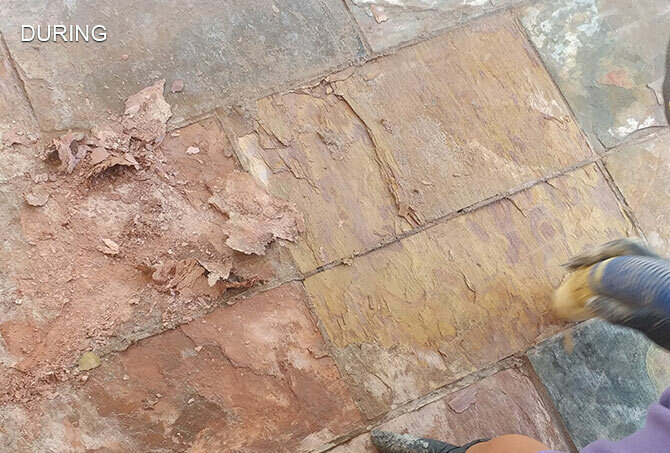 Then we painstakingly stripped away the topical sealer and thoroughly cleaned the slate. 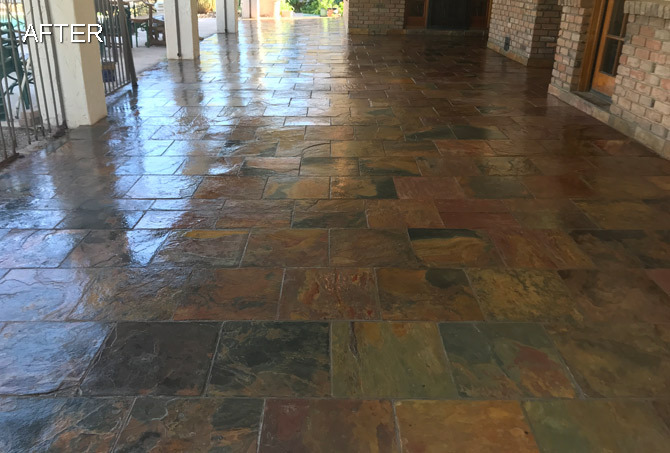 Once the slate was completely dry, we applied Dry Treat Intensifia, a deep color enhancer with oil and water repellent and superior stain protection that will last for years. 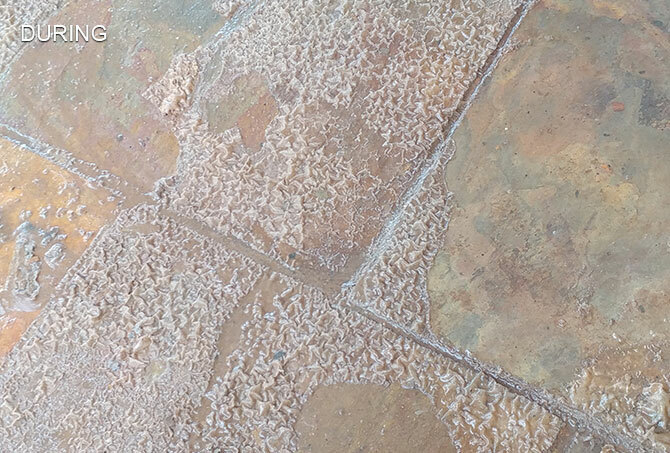 This type of sealer can “breathe,” so future reapplication won’t result in build up. As you can see in the AFTER images, this slate looks vibrant, clean, and new again. The homeowners were thrilled with the results. To learn more, visit our Slate Services page. 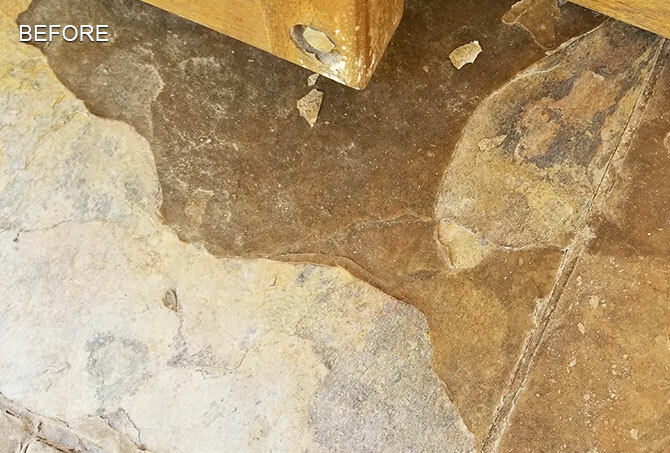 For a FREE estimate on slate stripping, cleaning, enhancing, and sealing services throughout the Phoenix, Scottsdale, and Tempe area, use our contact form or call (602) 993-9800 today.